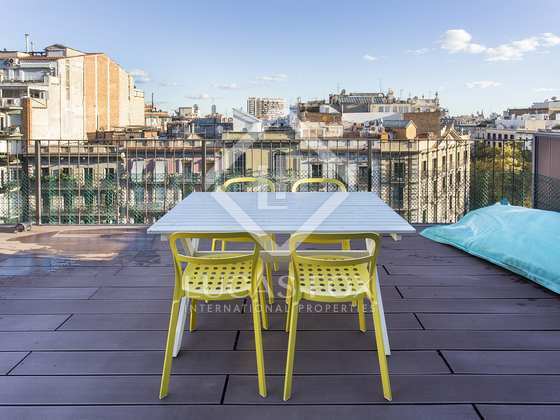 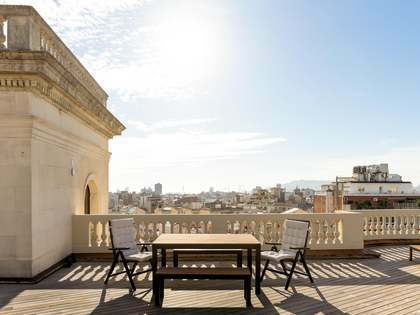 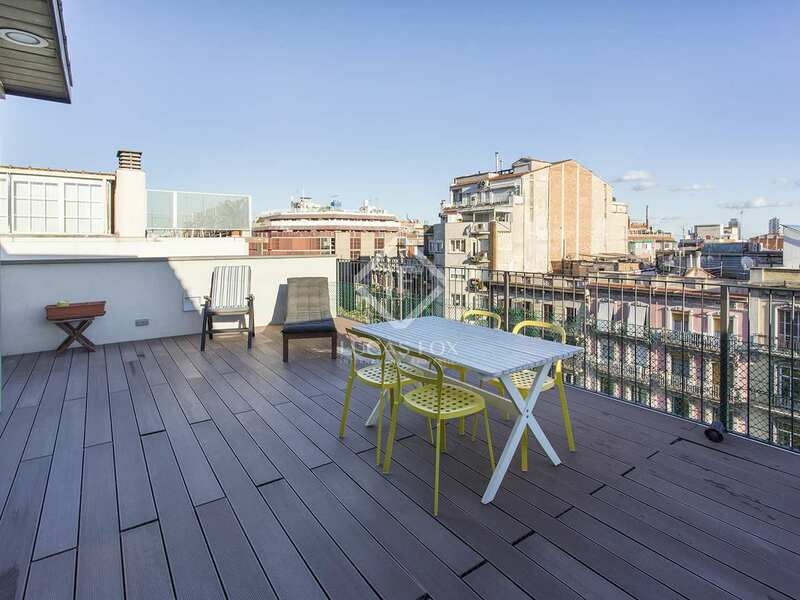 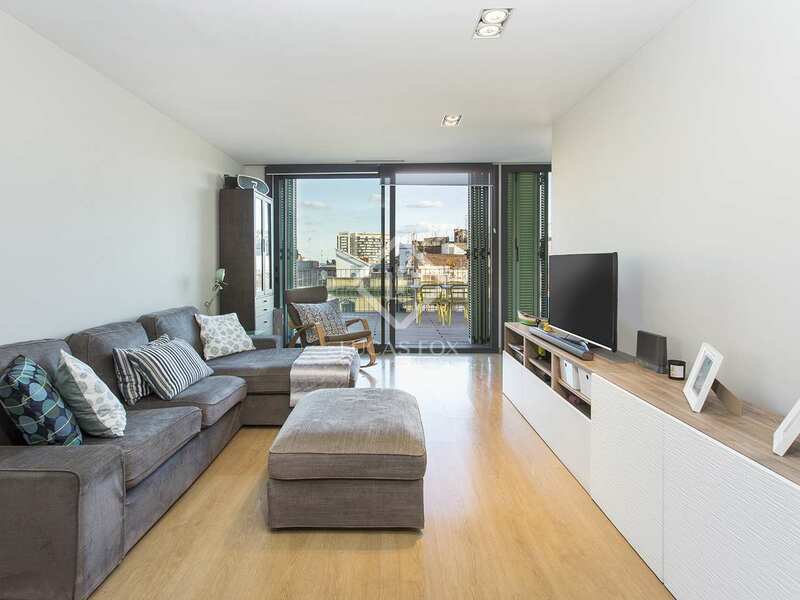 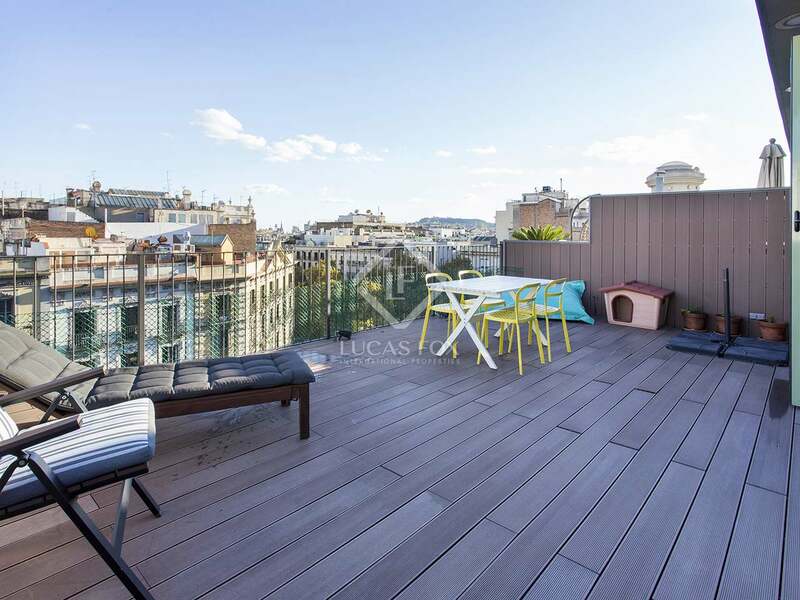 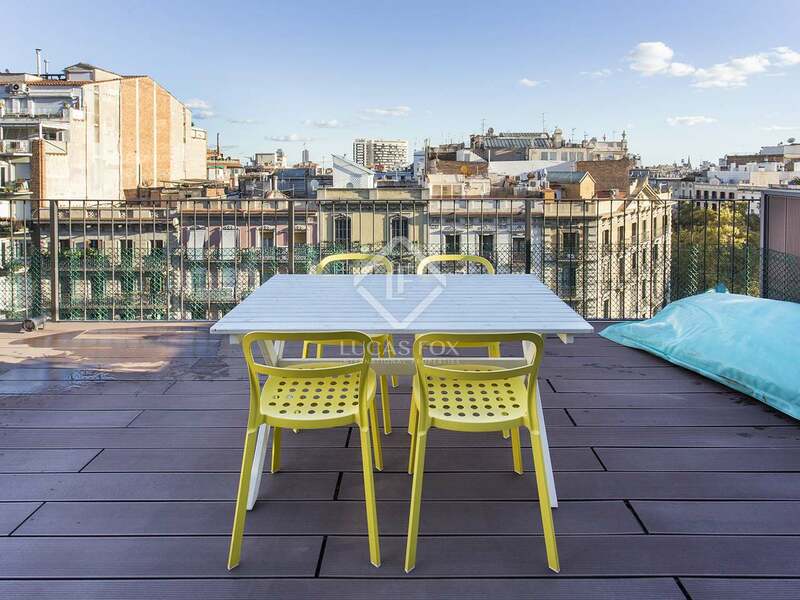 Fantastic penthouse with a terrace for sale at the heart of Eixample, next to Passeig de Sant Joan. 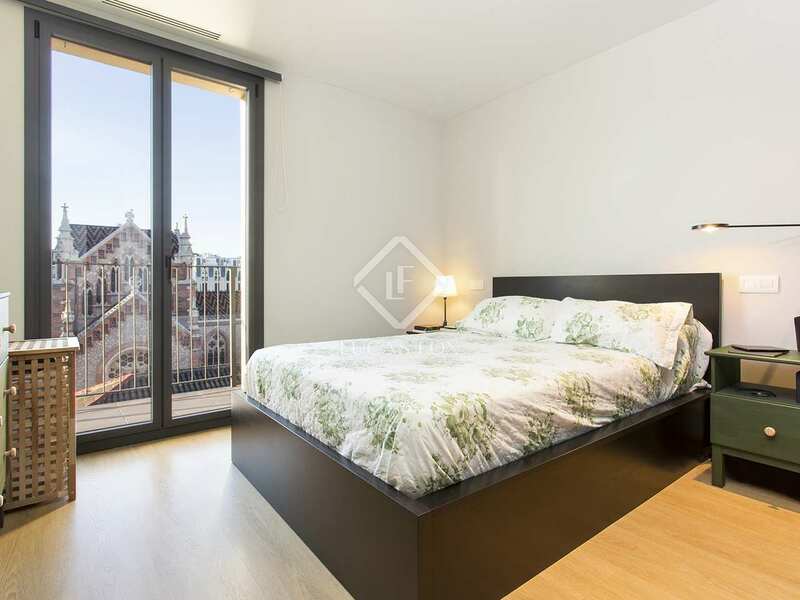 Includes parking. 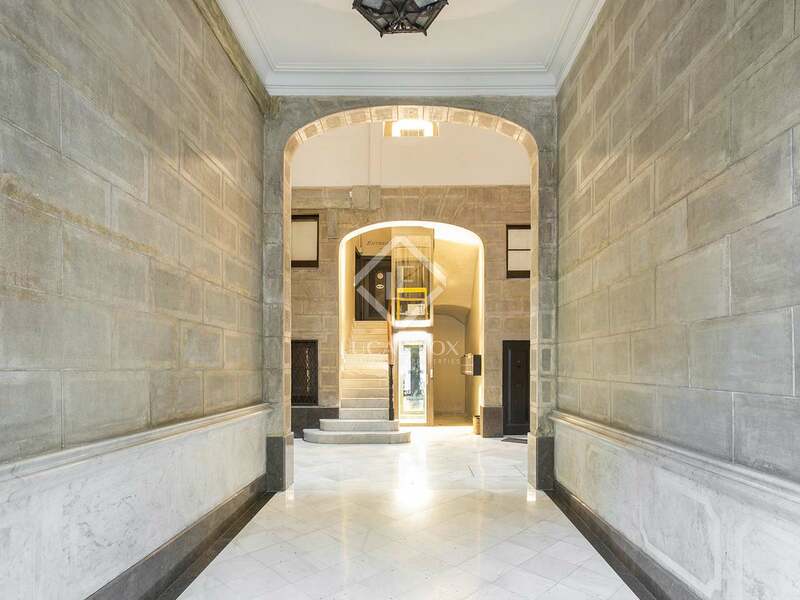 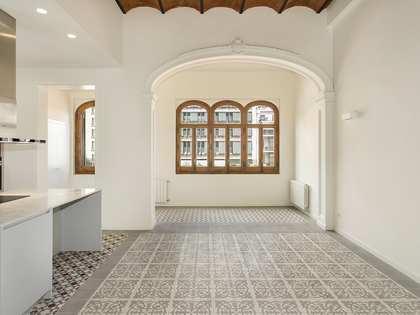 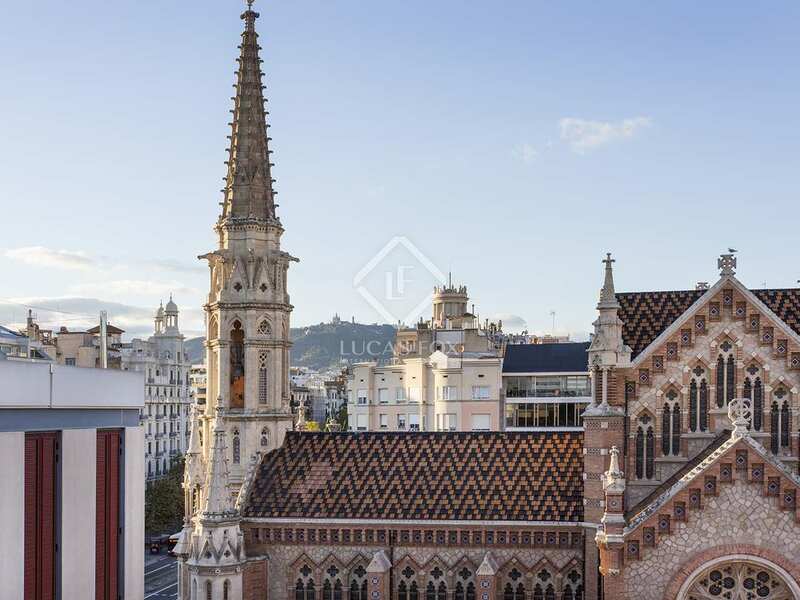 Wonderful penthouse of 103 m² located in a charming stately building with a lift, in the heart of the Eixample and next to Passeig de Sant Joan, Barcelona. 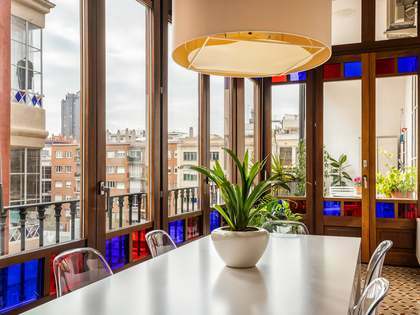 The property was built and designed in 2015 by an architectural firm of international fame. 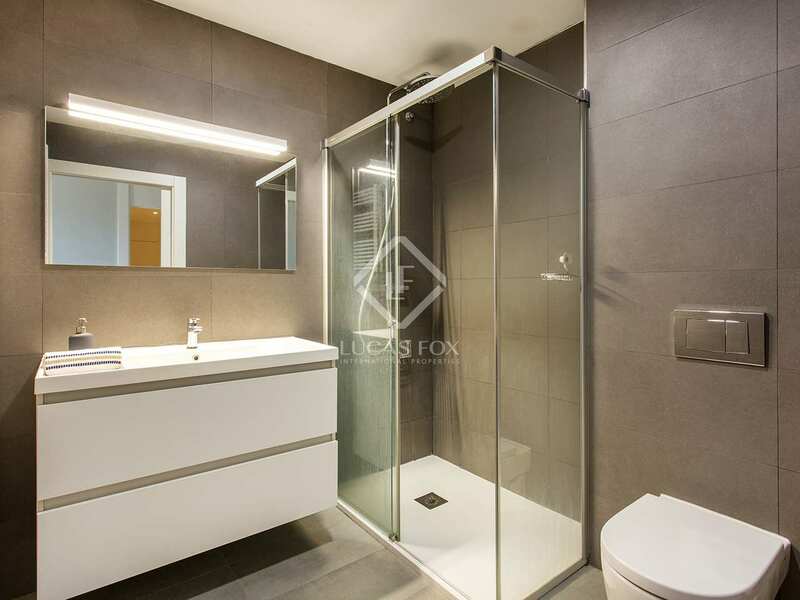 It offers a very comfortable layout with the day and night areas clearly differentiated. 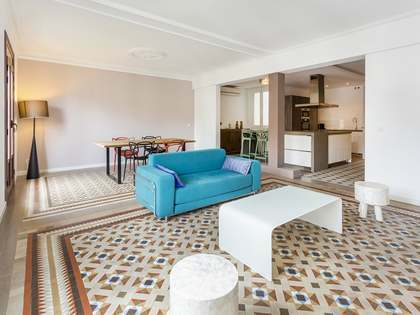 The night area consists of 2 double bedrooms (1 with private bathroom) and another single, along with another bathroom. 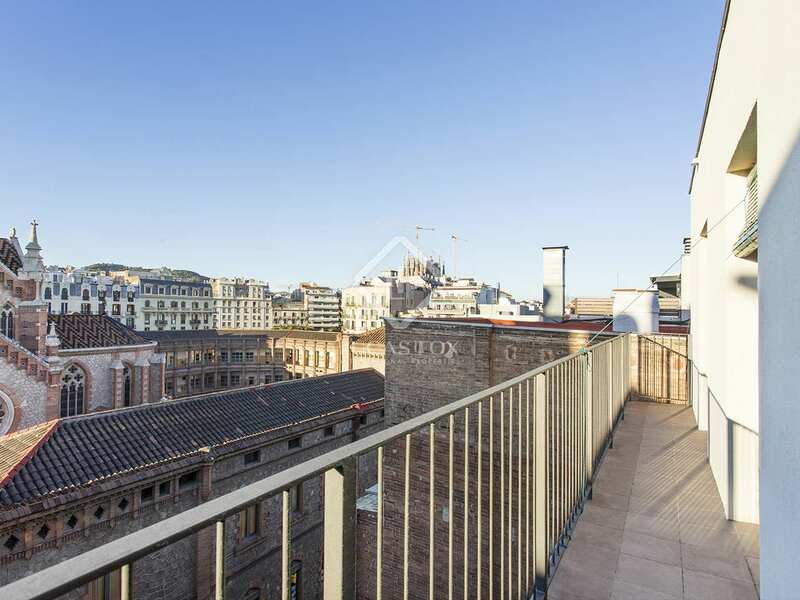 All bedrooms have access to a balcony of 8 square metres, which has unobstructed views of the inner courtyard of the block, where there is a nineteenth century parish. 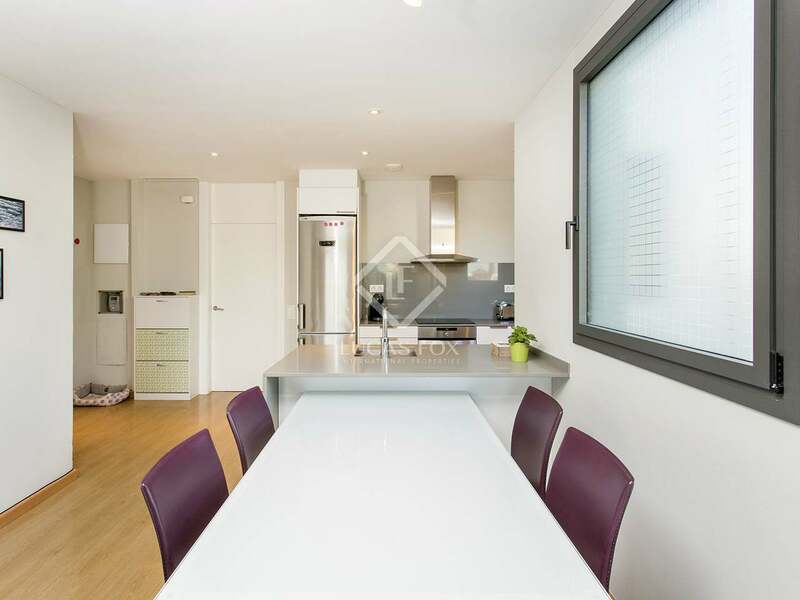 The day area consists of a fully equipped kitchen that is open to the living-dining room. This space has access to a fantastic terrace of 38 m² with southeast orientation, ideal to design a nice chill-out area. 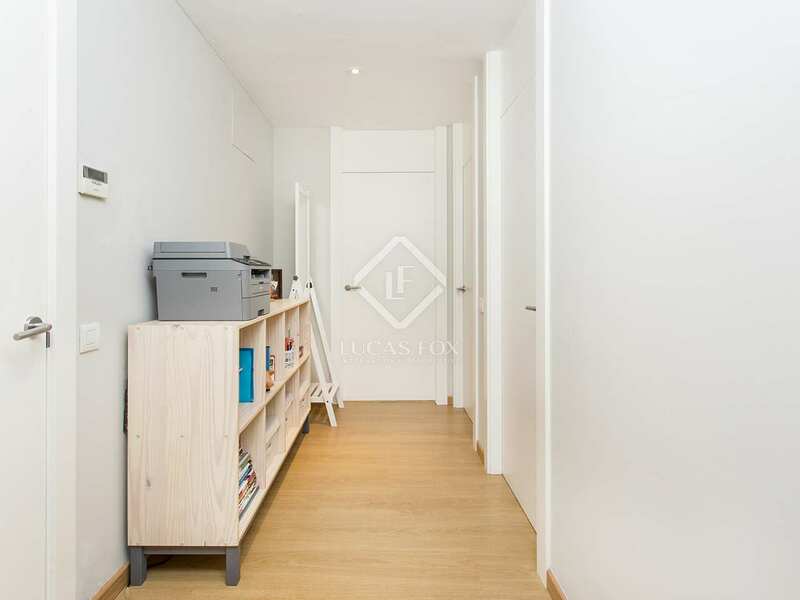 The property includes a parking space located 1 minute away. A dream property in the Eixample Right of Barcelona. 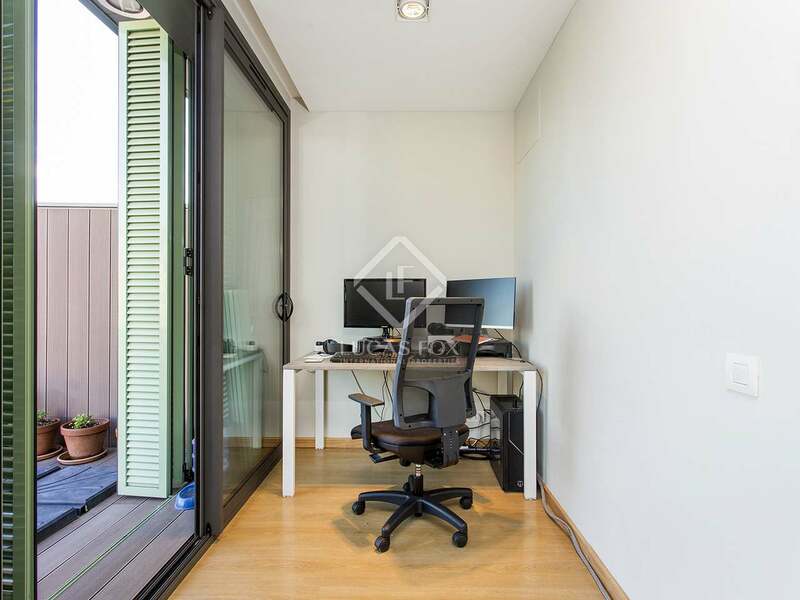 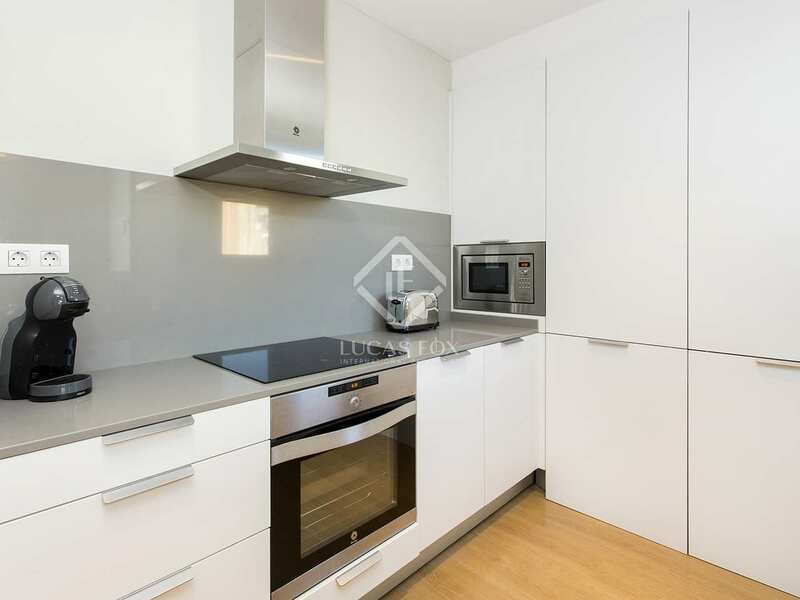 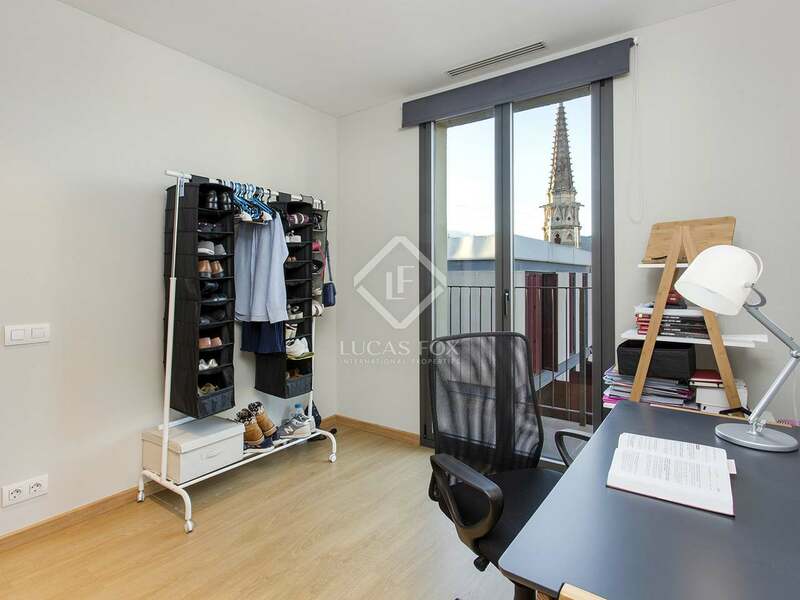 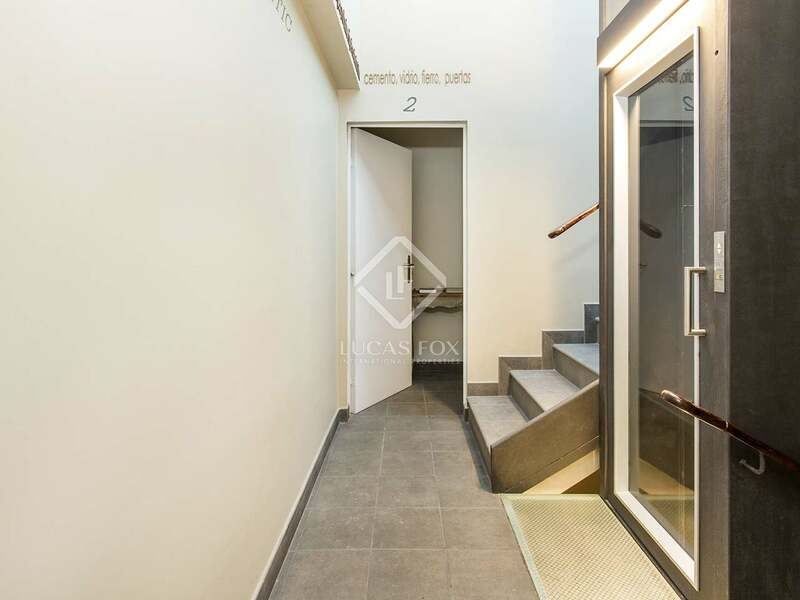 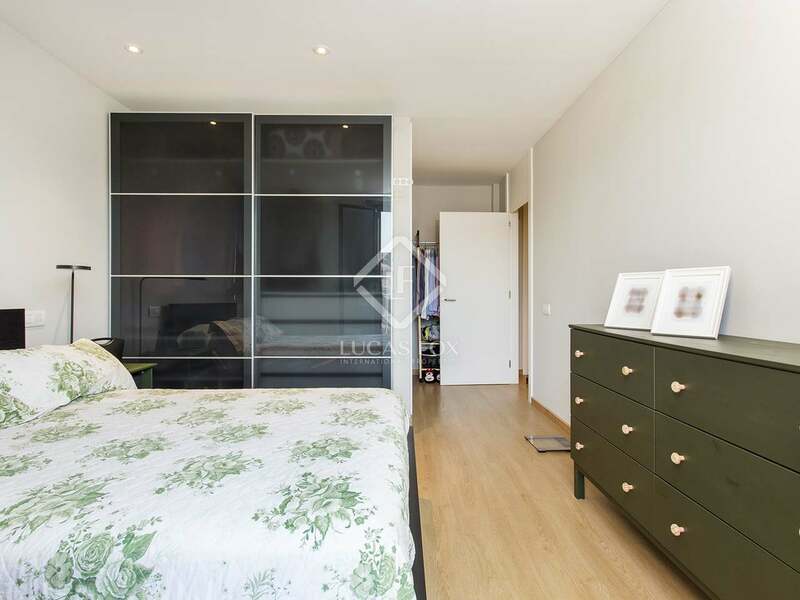 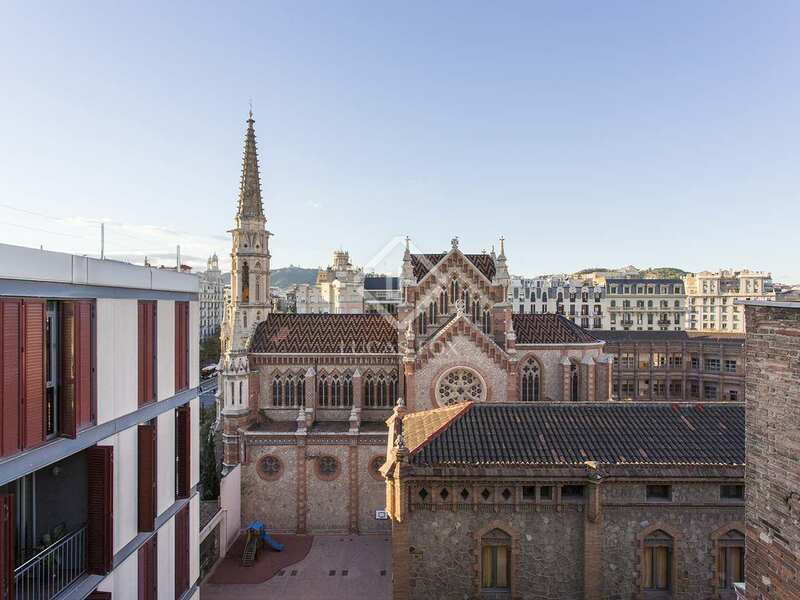 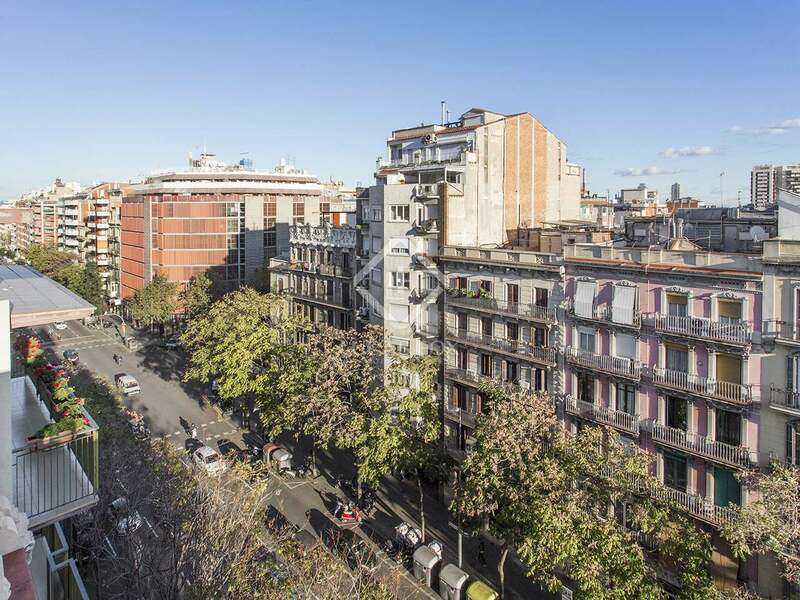 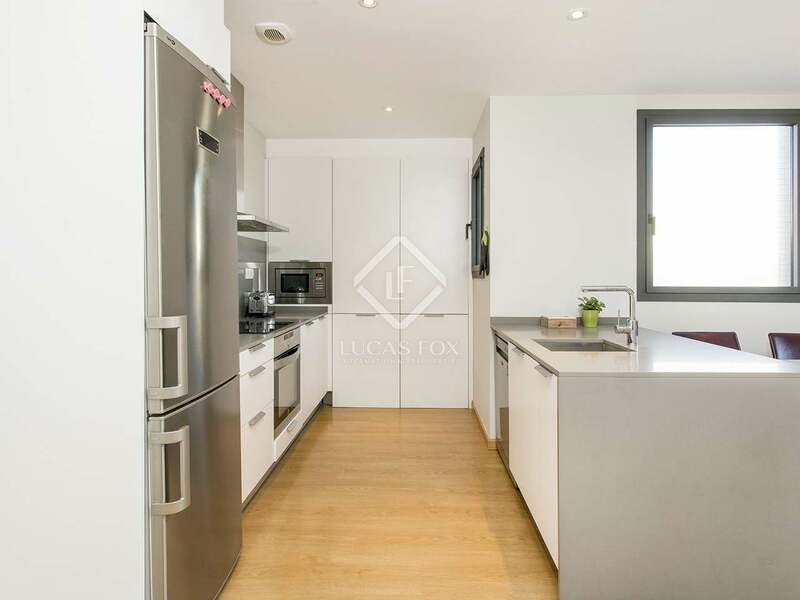 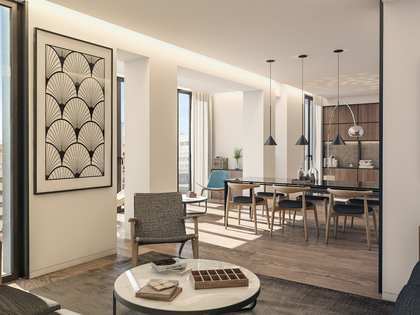 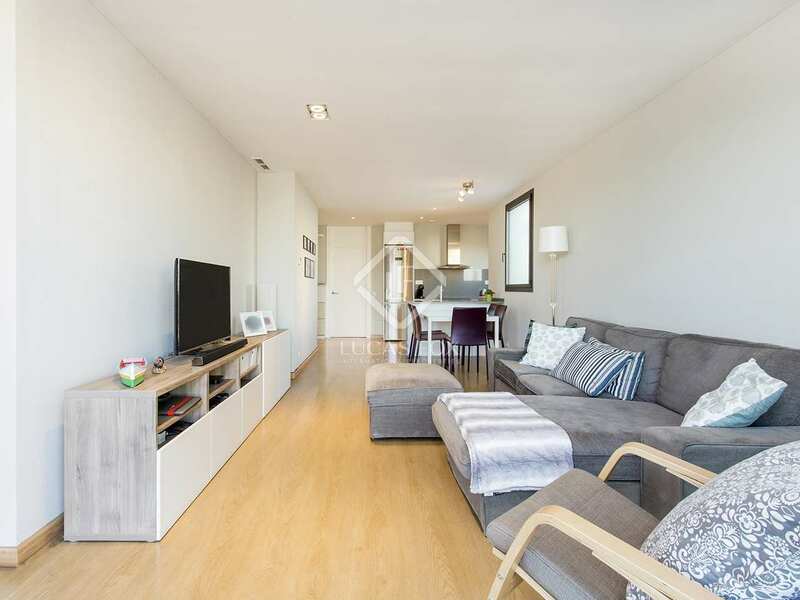 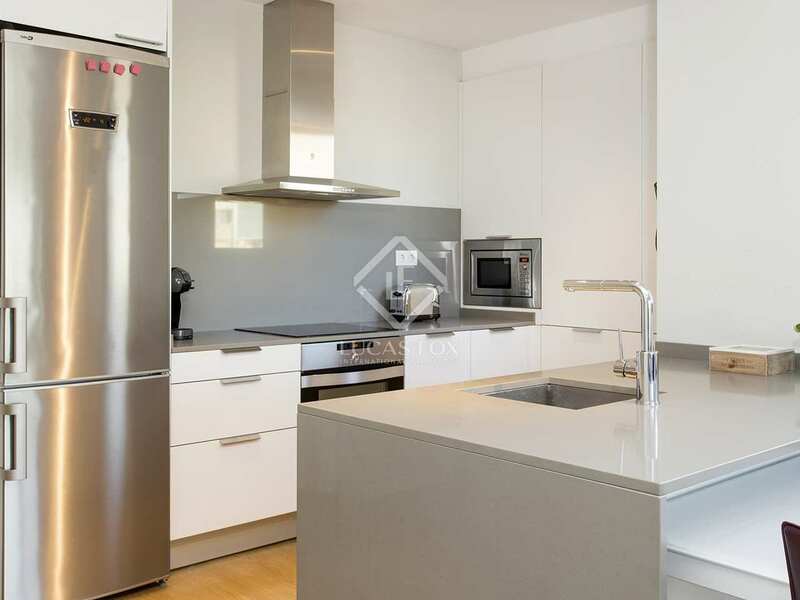 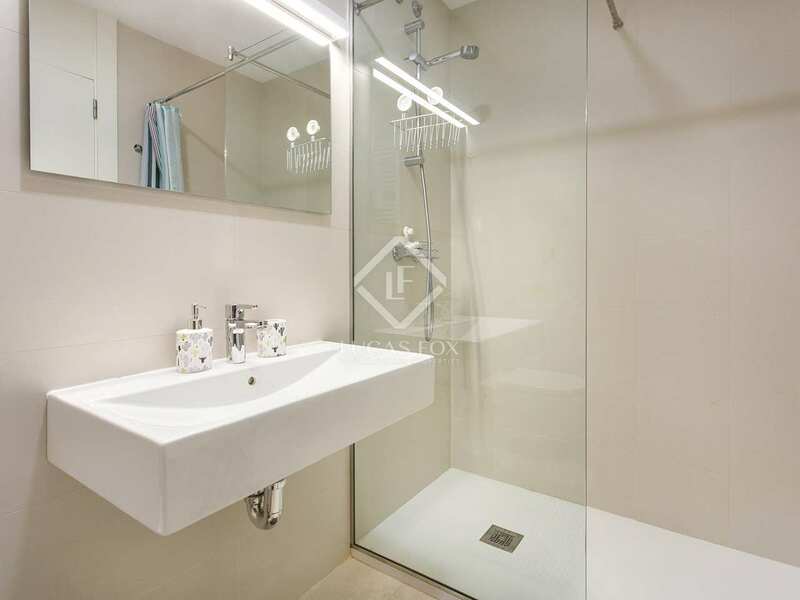 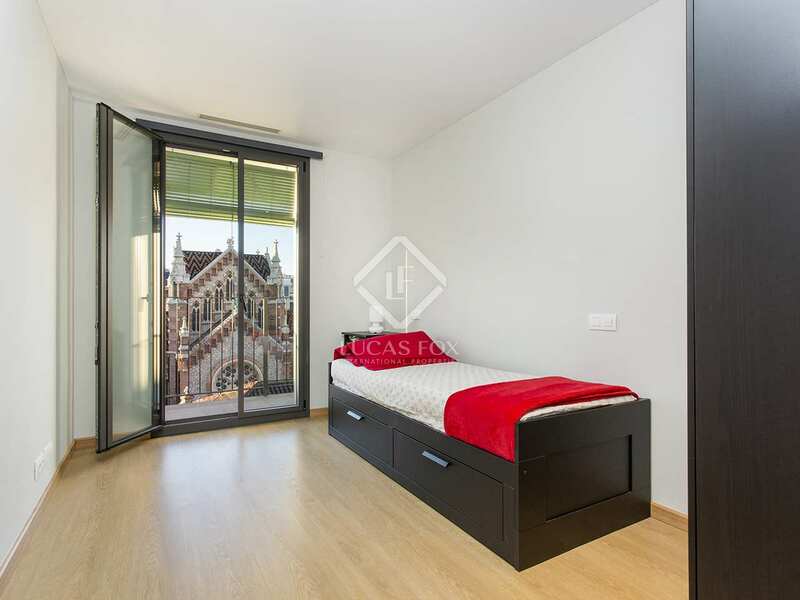 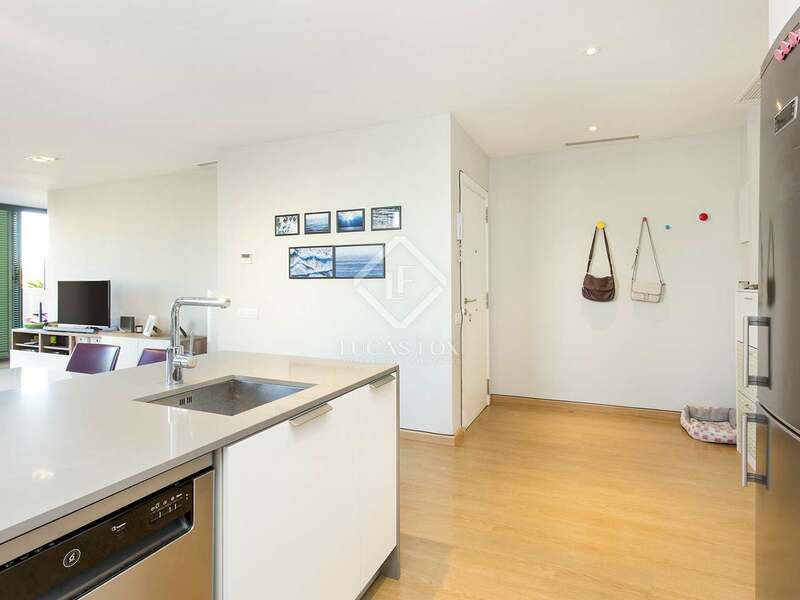 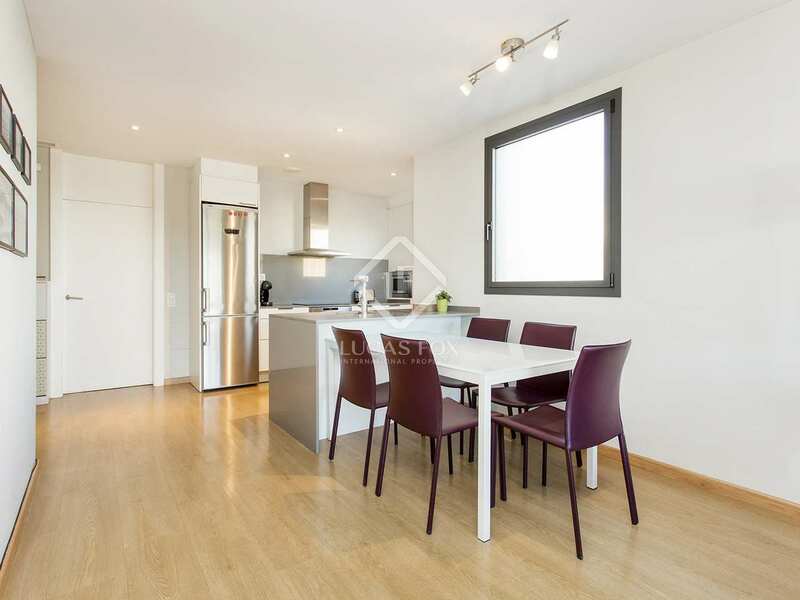 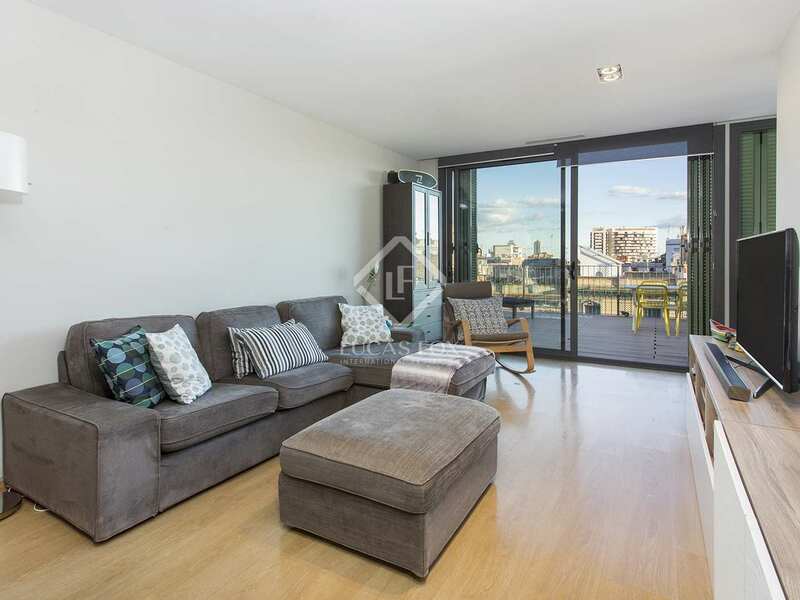 It is located in an excellent location, in the heart of the Eixample and next to Passeig de Sant Joan, the Gràcia district and Ciutadella Park. 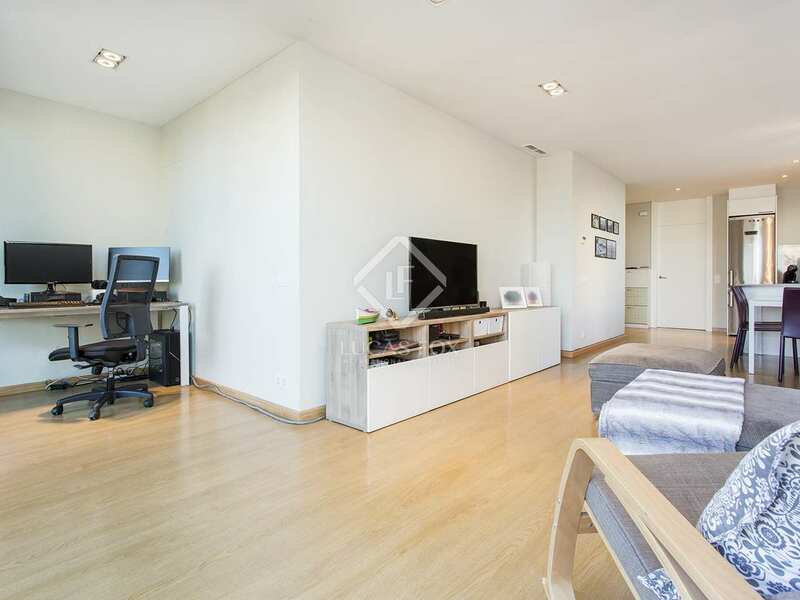 The area offers a wide variety of parks and large avenues, very well connected by public transport. 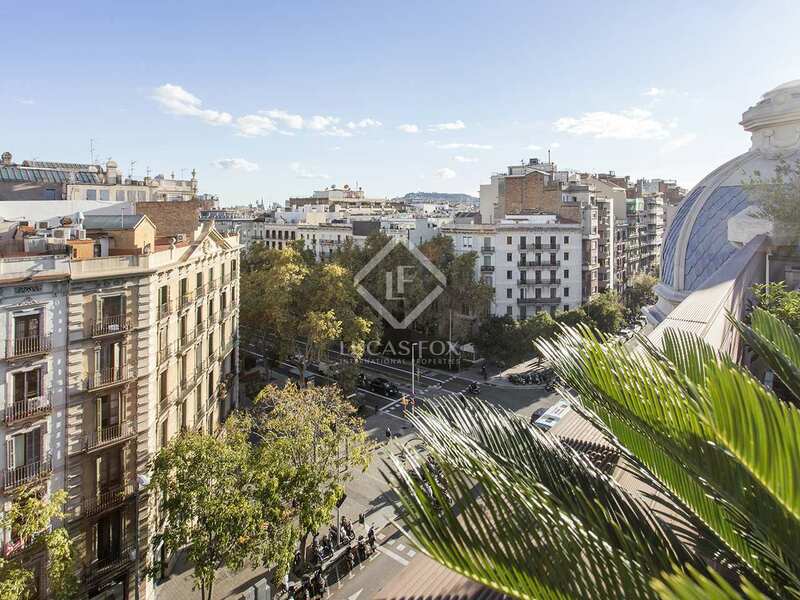 It has shops, restaurants and all services within reach.